Linking the past to the future! 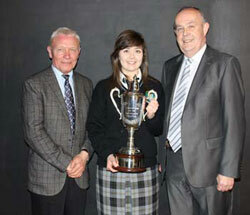 Marist Past Pupils are regular visitors to the College and contribute in a variety of ways to the Marist way of life. Past Pupils give talks to students on different issues including their own life experiences, they support the College through their business, they organise year-group reunions, they send their sons/daughters to the College and become members of the Parents’ Council, they are invited to present Awards at the Annual Awards Night and of course many come to teach here! There are currently 11 Past Pupils on the teaching staff! 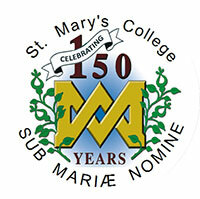 2011 was a milestone year in the College history as we celebrated 150 years since the foundation of St. Mary’s College in Dundalk. It was also the foundation of the Marist Fathers in Ireland, who went on to found 2 more schools in Dublin: Catholic University School and Chanel College. The College first opened its doors on September 17th 1861 with 20 students on the roll. In 2011 there are over 600. Students attended Mass in the Marist Church and all students were presented with a commemorative badge which may be worn on the uniform and the Marist Prayer Book, specially commissioned for the celebrations and filled with prayers written by students, staff, parents and past pupils. Unfortunately due to the weather the planned ‘Raising of the Marist Flag’ had to be postponed until the following week but the day finished with a party for each class. All former Marist students were invited to visit the College, have a wander around, look at photos and share stories of their time here. All rooms were open and displays included photos, DVDs, original marks books, original roll books and other records dating from the present day back to 1861. It was a fantastic day with a wonderful atmosphere as former students told their stories and shared their memories. Approx 500 hundred people came on the day and many traveled long distances to join us. Thanks to you all. A Plaque in memory of Miss Mary McArdle, who taught in the Marist Prep School in the 1940s was unveiled by a group of her former students. The unveiling ceremony took place at 3.00pm in what is now Ms. Morgan’s room. A Mass was held in the Marist Church at 4pm to celebrate both the anniversary of the Foundation of the College and the anniversary of the founding of the Marist Fathers in Ireland. The Chief Celebrant was Cardinal Sean Brady and he was joined by members of the Marist Community including Fr. John Hannon (Superior General and past pupil), Archbishop Adrian Smith (Archbishop of the Solomon Islands and past pupil) and Fr. 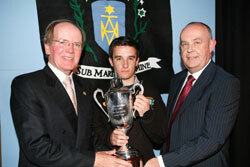 David Corrigan (Regional Superior in Ireland and former member of staff). 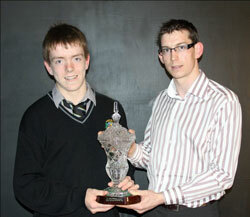 The Anniversary Dinner Dance was held in Ballymascanlon House Hotel. This was a unique occasion bringing together the Marist Community, current and former members of staff, past pupils and parents. In addition to those mentioned above, Fr. 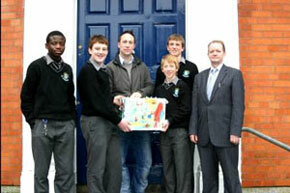 Hubert Bonnet Emyard (Provincial of the European Province), Mrs Emanuelle D’Achon (French Ambassador to Ireland), Mr. Kevin Jennings (Director, Marist Education Authority), Mr. Cecil Hughes (First Lay Principal), Dr. Roland Feucht (Principal of Maristengymnasium Fuerstenzell) and Mr. Rupert Forst (Marist European Education Committee) attended the Dinner.